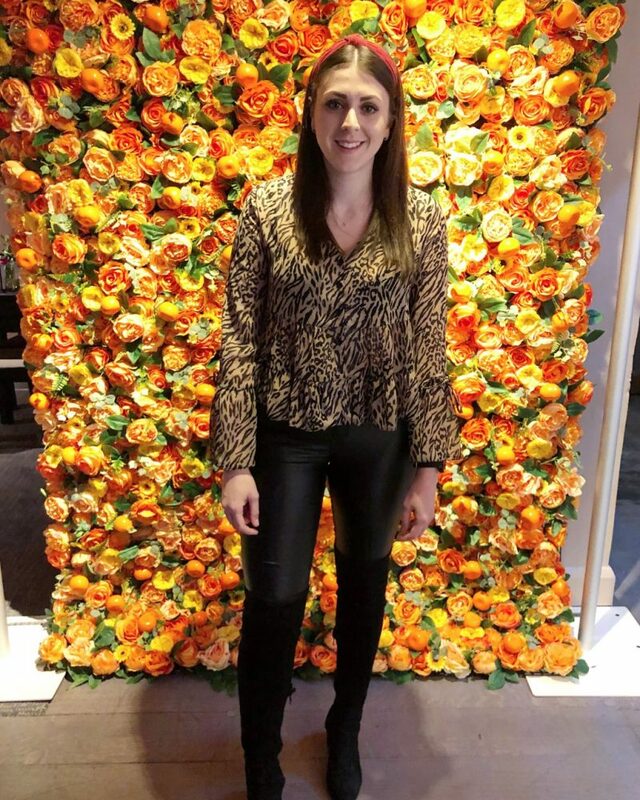 On Thursday night i was really excited to attend the Benefit Fake Up event held in Brighton! Set upstairs of The Mesmerist, laid out like an old-school murder mystery was the event. It was set up beautifully, with amazing benefit cushions, and all the products out to play with, lovely props, really yummy food and some delicious Russian Punch cocktails! Perfect! The event was to introduce their new Fake Up Concealer* and it was great! This concealer is like no other. The concealer comes in stick form, but around the actual concealer is a balm ring, which is really hydrating. This balm contains vitamin E and apple seed extract and it moisturises immediately, exactly what you want in a concealer! The concealing core hides dark circles, smooths skin and diffuses light and has been proven to keep skin hydrated for 6 hours! The concealer comes in 3 shades, 01 Light, 02 Medium and 03 Deep. The beautiful team demonstrated how the concealer works best, i also learnt about the orbital bone and how concealer around the eye is best applied not directly below the eye area but in a v below, that carries up to the outside of the eye, and then blended upwards. When the team were demonstrating how to use the concealers, they also showed how even the darkest shade, 03 Deep can be used as a beautiful contour, which is very Kim Kardashian’esque, It really looks lovely, and is so much easier than powder, and is a lot more easy to blend. This is something i have been doing lately and i love, thanks girls! What i love about this concealer is how incredibly smooth, soft and moisturising this is and how it hydrates and conceals perfectly whilst being long-lasting and feeling effortlessly lightweight! We also had the chance to get colour matched to their Hello Flawless Powder, i was the shade ‘I Love Me’ Ivory! We then got to take this product home, so generous, thanks! I also got to try out the Fine One One cream product and i am SO in love, i am also in love with their World Famous Neutrals palettes, especially the Most Glamorous Nudes and Sexiest Nudes, now all on my beauty wishlist! 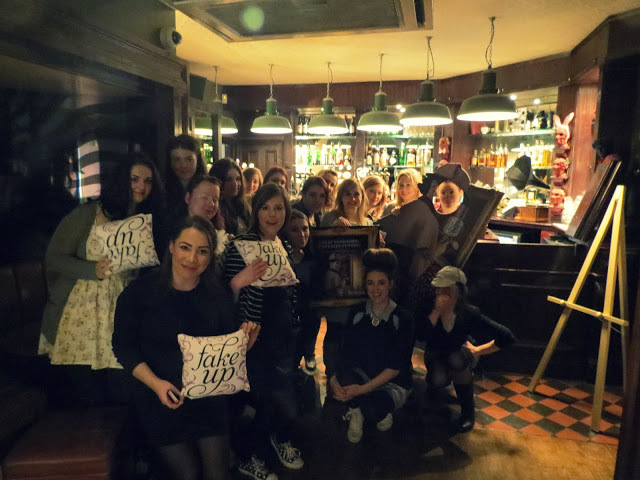 The Blogger girls and gorgeous Benefit girls – Photo courtesy of Islay! Thanks Benefit for the amazing event, i met lots of my favourite bloggers, and i hope to see all you girls again very soon! Make sure to check out, Laura, Lilla, Catherine, Rosie, Adele, Megan, Islay, Steph, Annabelle, Lauren and Hannah! Have any of you tried Fakeup, what do you think? Next Post A Day at The Ballet, GBK and Fego’s Brunch!